The Safest Car Of The Last Eleven Years #Infographic ~ Visualistan '+g+"
The Insurance Institute for Highway Safety, commonly referred to as the IIHS, is a nonprofit group based in the United States that researches and rates the safety of every passenger vehicle released to the public. Using this data, consumers and insurance companies alike know which vehicles are the safest to drive each year. How do they determine which vehicles are the safest? They perform elaborate crash tests complete with crash test dummies mimicking people of all ages in a controlled environment. Those that have the highest chance of survival and lowest risk of injury during severe crashes are rated the highest. 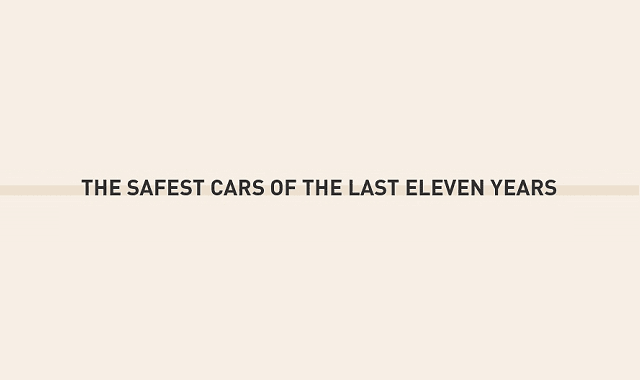 This infographic breaks down the IIHS’s data from 2006 to 2016 to visualize the safest car brands and models over the past eleven years. The winners might surprise you! How safe is your vehicle?